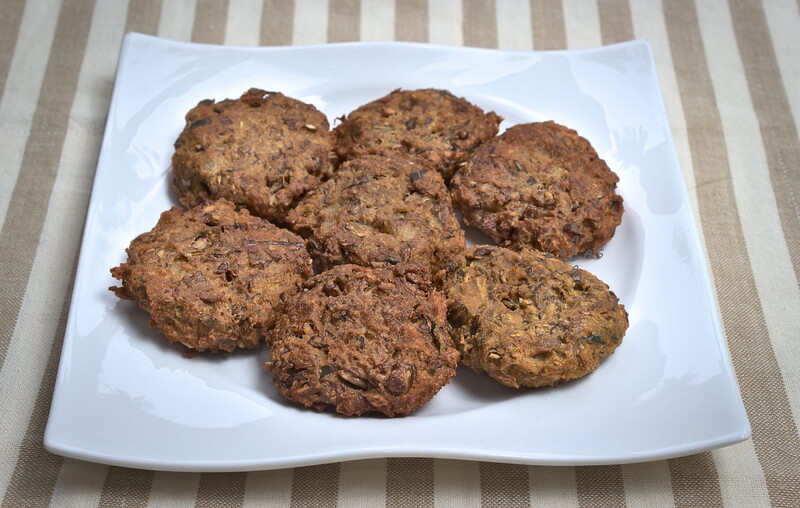 Though the Vazhaipoo Vadai is not a new recipe, it came into prominence in cookery demonstrations after it was mentioned in the Tamil film Kandukonden Kandukonden (which was based on Sense and Sensibility though that story did not feature Vazhaipoo Vadai). There are several versions of this recipe. My mother even had a version with ground coconut added along with cumin and garlic but I never relished it (maybe because the garlic made it very pungent). I experimented with most of them and arrived at the method below as it is very simple. 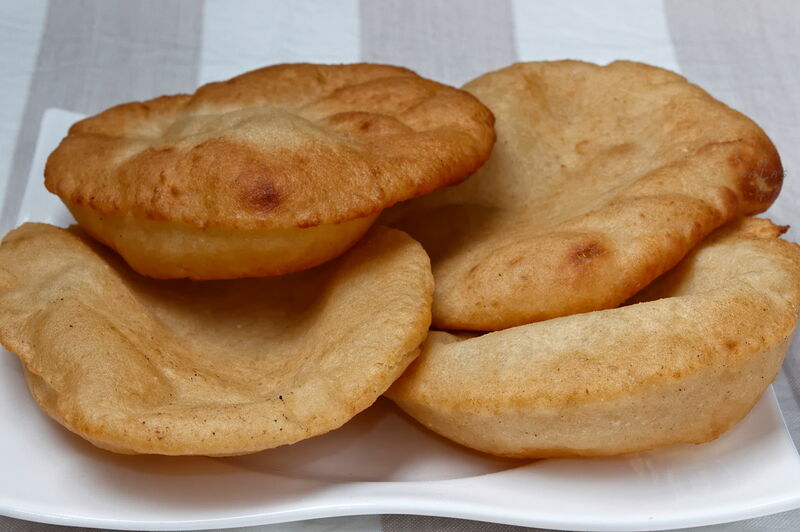 Pachai Mochai Poriyal is very simple and very easy to make. The recipe has been handed down from my great-grandmother’s kitchen. 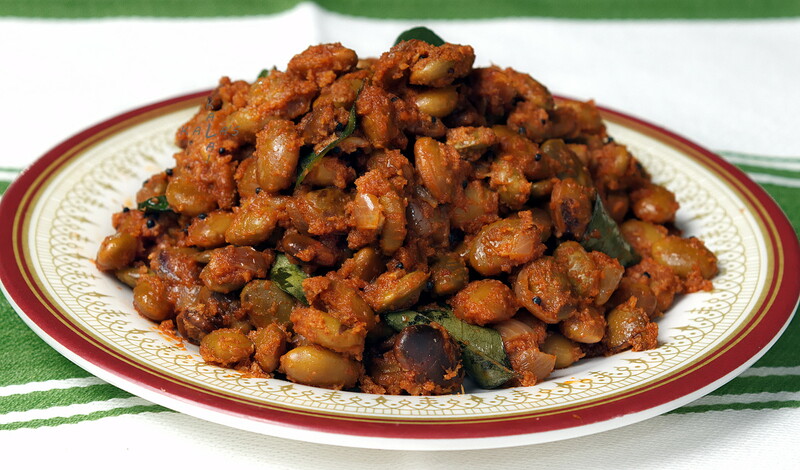 It makes a very interesting side dish and appears even in wedding feasts. It is also suited for packed lunches as it is a dry preparation. In a book fair during the late ‘80s, I came across Meera Taneja’s Indian Cookery and I bought it immediately because of the way the recipes were written. 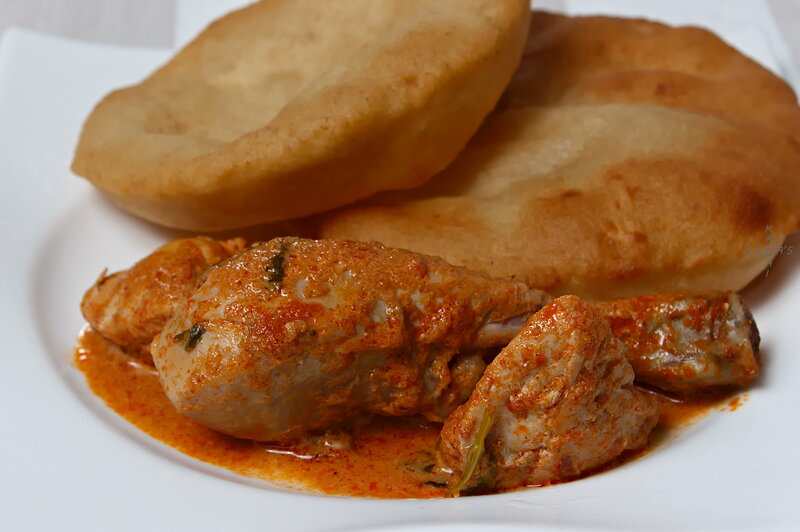 She had given a slightly different preparation for Murgh Makkanwali. I modified it to suit the ingredients available then and also the facilities in my kitchen. This preparation is different from what one usually comes across in restaurants as ‘Butter Chicken’ which uses leftover Tandoori chicken pieces, whereas Meera Taneja had used fresh chicken. This is my first foray into Urdu Muslim cooking – khamir (or khameer) is Urdu for yeast. Saira Mohseen was my student in 1988. She now lives in Melbourne. For the Eid celebrations she had prepared Khamiri roti with other dishes and had posted a photo of the meal on Facebook. I had not come across Khamiri Roti before, and so I asked her for the recipe which she readily shared, cautioning me that it was not standardized. I have standardised the recipe and presented it here with a more detailed procedure.